I loved coming home from school to homemade cookies, treats and even cut up fruit and veggies. My Mom was the queen at after school snacks! Now that I’m grown up and have kids of my own I try and have some sort of after school snack when they get home! 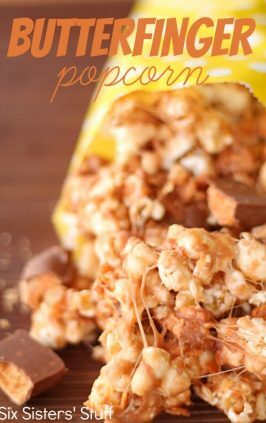 Although I usually try and stick to healthier things, sometimes it is okay to have a fun treat! 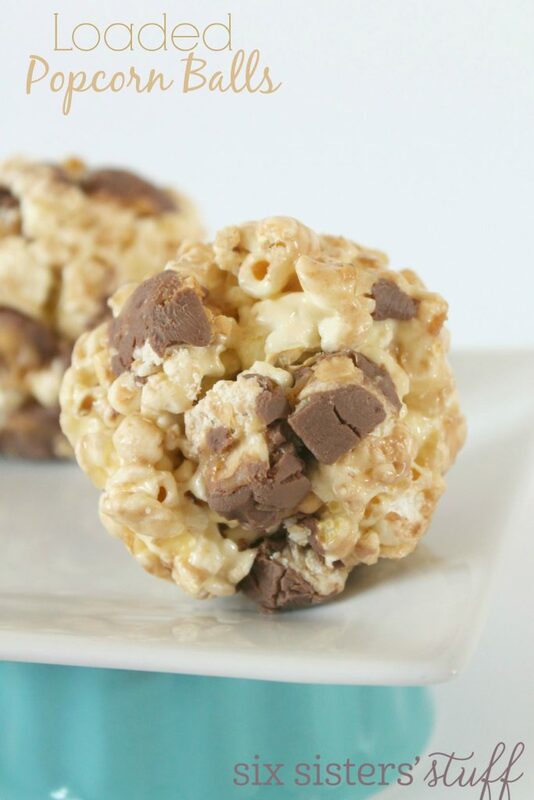 These Loaded Popcorn Balls are so easy to make – almost like rice krispie treats but with Popcorn! Melt butter in large saucepan on low heat. 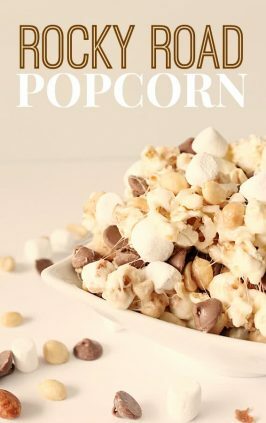 Add marshmallows, vanilla and salt; cook until marshmallows are completely melted and mixture is well blended, stirring constantly. 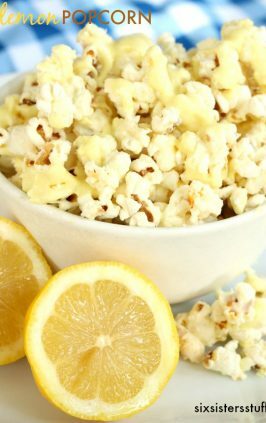 Place popcorn in large bowl. Add marshmallow mixture; mix lightly to coat. 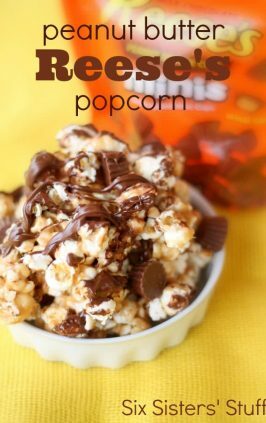 Add a small handful of your favorite candy and mix it with a handful of popcorn. It should make about 10 (3-4 inch) balls. 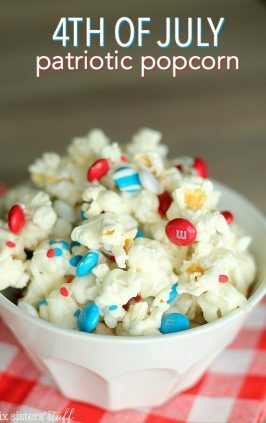 The trick is to lightly grease your hands before forming the popcorn. Place on sheets of waxed paper; let stand until firm.